Starless Night, the Mount of the Players! A brand new mount is stalking its way to Magerealm, the free to play 3D action MMORPG from GTArcade! Introducing Starless Night, a sleek and elusive beast that was designed by the players! The nightstalkers of the southern jungles are well-known for not being known. Not many Mages have actually seen one in person. To even have a chance at catching a glimpse of this magificent creature, one must trek for weeks through the dense and hazardous jungle. Among the nightstalkers, Starless Night is said to the absolute king. His territory expands vast reaches and no other nightstalker would dare step paw into his domain. We asked, you delivered, and now it’s here! 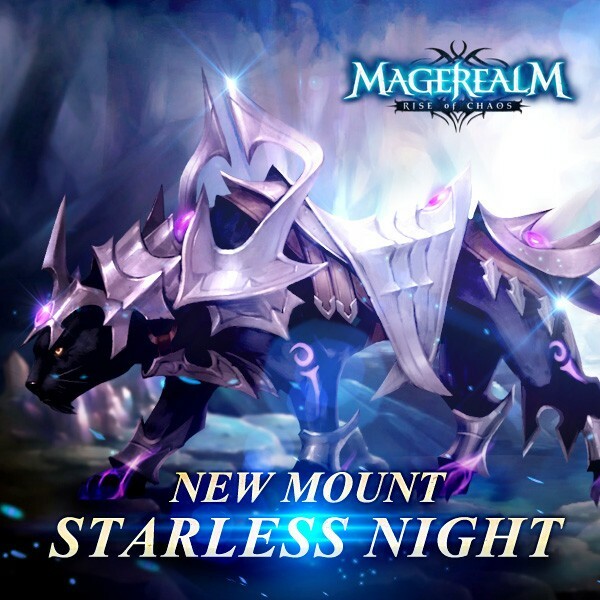 Starless Night is a mount who’s concept and name was designed by our very own players! Was it everything you had imagined? Are you excited to see more of your great ideas come to life in the game? Follow Magerealm on Facebook or GTArcade and visit the official forums to get the latest news and participate in rewarding events. Come experience an epic fantasy world of magic in this free to play action MMORPG!